My husband's favorite dish is macaroni and cheese! Mac and cheese is one of my favorite meals too next to pizza of course! 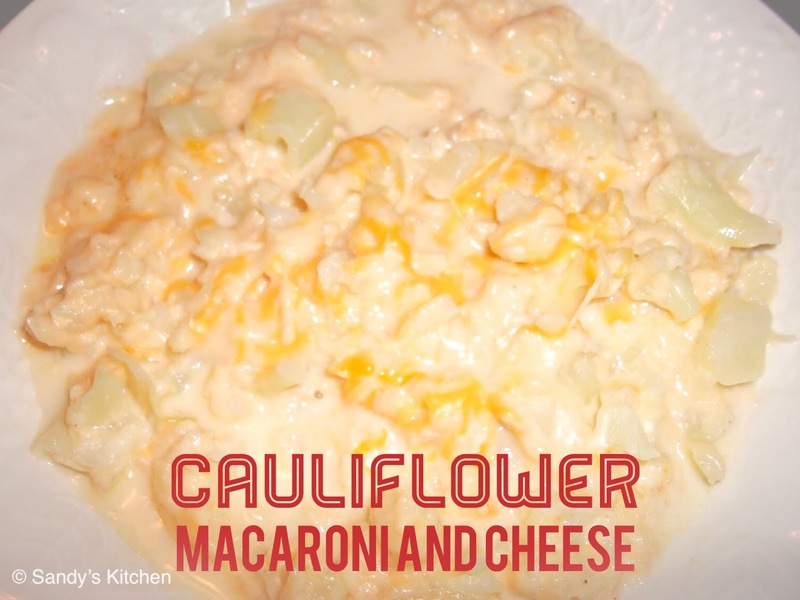 It is amazing how many low carb friendly recipes are made with cauliflower. Thank goodness for that! I wouldn't know what to do without all the great substitutes for pasta, bread and rice! What made me decide to make mac and cheese? I was putting together my husband's Valentine's Day care package to be sent off to Afghanistan where he was deployed and filled it with all types of goodies such as a music CD filled with love songs and photos, cookies, candy, chips, snacks, and you guessed it.... mac and cheese! This recipe has a nice cheesy flavor and definitely eased my craving for mac and cheese! Enjoy! Preheat oven to 350. In saucepan over medium-low heat, warm half and half, cream cheese, salt, garlic powder, onion powder, and mustard.Whisk until creamy, do not let boil. Mix cheese together in bowl. Pour 1 1/2 cups of cheese mixture into saucepan. Stir until cheese is completely melted. Add cauliflower and gently fold until cauliflower is covered. Place mixture into baking dish and top with remaining shredded cheese. Bake for 20-25 minutes until cheese is browned. If desired broil for the last 2 minutes of baking time).